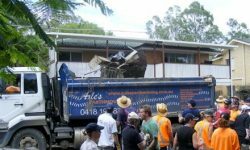 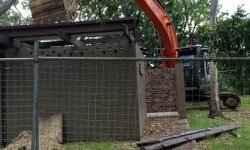 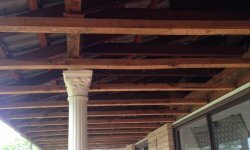 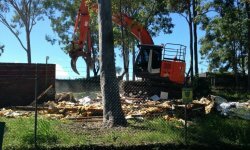 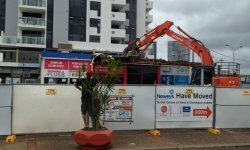 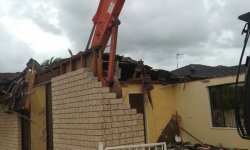 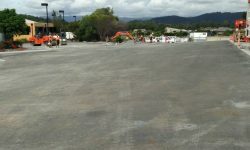 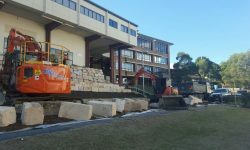 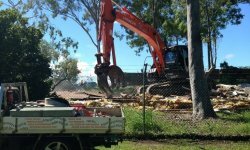 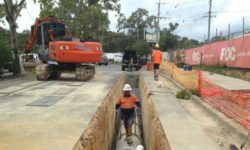 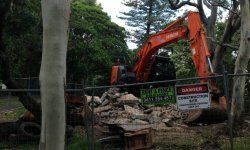 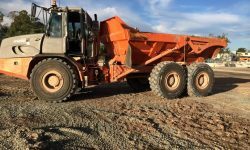 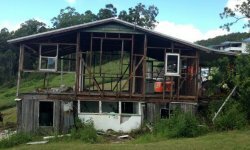 Axle’s Earthmoving & Civil Works specialise in the safe and successful demolition of residential, commercial and industrial structures. 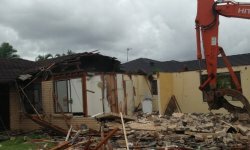 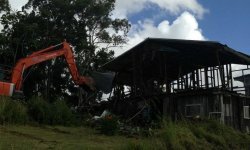 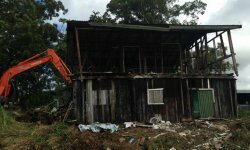 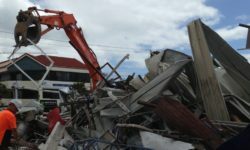 Whether it be demolitions of the old to make way for the new, partial demolitions for a rebuild, or minor demolitions for renovations to take place. 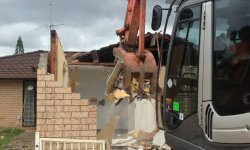 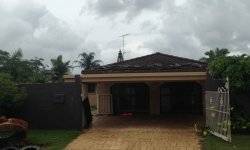 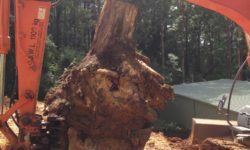 Our highly skilled team of operators safely & effectively demolish a house within hours, and be working on the site clean-up. 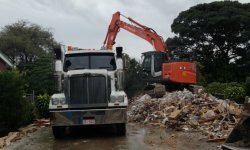 Our haulage trucks will remove unwanted materials from the site resulting from the demolition to leave the site ready for the next phase in the site’s evolution. 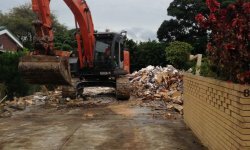 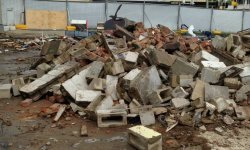 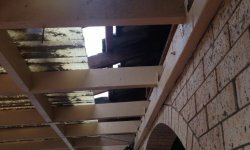 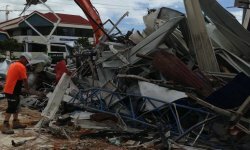 We have the certification required to work in this industry, and the right machinery to effectively and safely carry out your demolition project. 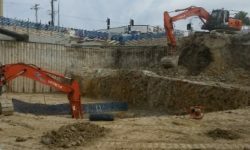 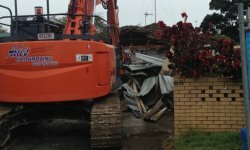 Whether it be a minor demolition or major, we have the appropriate equipment ranging from 1 – 30 tonne excavators, tipper and haulage trucks to accommodate all aspects of the demolition process. 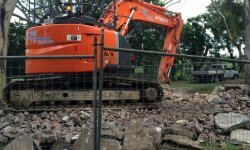 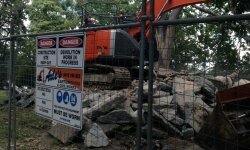 Axle’s professional operators understand the importance of safety within a demolition site, for the safety of staff, clients, their families and their neighbours. 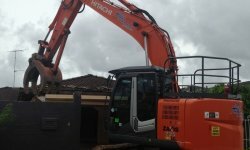 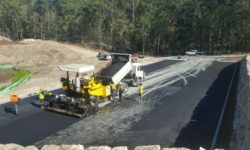 Our operators are trained to carry out work as if it were being carried out on their own property, and ensure the most stringent of safety precautions are in practice.